How to Daddoo: Hi Sean, I’ve shown my daughter Epic Mickey: World of Illusion and Talking Tom Bubble Pop and she loved them. The Sunborn Rising score was particularly inspiring for me. Tell us about yourself? What you do and your family life? My name is Sean Beeson and I am musician and composer! I work from home in my studio, and am the father of four (soon to be five) young children under the age of 8, four boys and one girl. I write music for all kinds of projects including trailers, films, documentaries, games, amusement park rides, and commercials. As I was typing this, I had to change a diaper, and hold a kid who hurt themselves climbing on stuff in the living room. How to Daddoo: Wow, I struggle to stay ‘composed’ with two children! How do you balance time to do these epic scores and family life? Working from home allows me to more easily manage the madness of being a father to five and the demands of clients around the globe. Balancing time usually results in me giving priority to what is needed when it is needed. Often it cuts into my personal time (not that I expect a lot of it anyway! ), but that of course comes with the territory of being a parent and husband. Lately I have tried to incorporate more of my personal interests in the activities of what I am doing with my kids. How to Daddoo: Have your children inspired your work in anyway and how do they feel about your work? Oh my kids barely know what I do. I don’t really bring home my work too much. They do know that I play music for Mass, and they do take part and interest in that part of my career, but otherwise they don’t inspire my work. They do however, motivate me to work harder. They gotta eat!! How to Daddoo: What’s the best thing for you about being a Dad? The best thing about being a dad is seeing parts us and our families in what they do, what they enjoy, and what they say. Watching them learn, grow, and develop, is such a rewarding experience. Often those moments of growth only happen once and then it is past. You blink and you miss it. How to Daddoo: What’s your funniest moment being a dad? Watching my children behave and act like they are 20 years older than what they are. Sometimes when they are playing and pretending, one of them will give the others some random sage advice. I am just sitting in the other room trying to figure out if me or my wife said that, they picked it up from somewhere else, or just made it up! 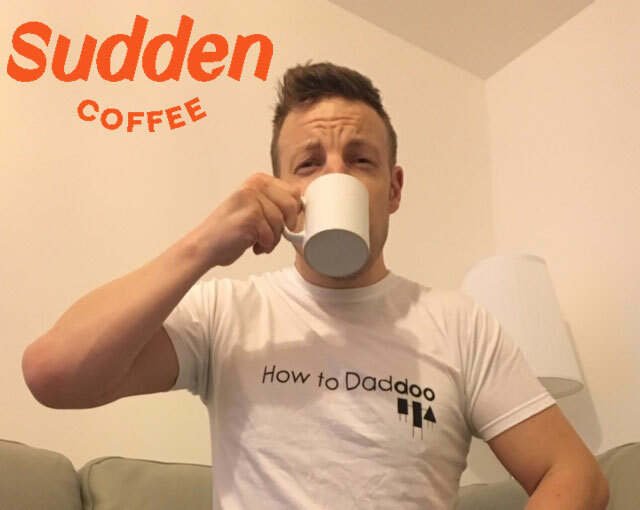 How to Daddoo: What would be your top tip for new Dads? Discipline your kids, but don’t take anything too seriously. Kids are messy, aggravating, frustrating, loveable, kind, considerate, beings. They need structure and order, but also lots of encouragement and love. How to Daddoo: What are your future goals for both yourself and aspirations for your children? To be healthy and happy. I can’t make decisions for my children, especially as they mature into adults. All I can do is hope they make the best decisions for themselves and are happy with their lives! Thanks for your time Sean. If you’d like to keep up to date with Sean’s work check out his website at www.seanbeeson.com or his twitter @seanbeeson.